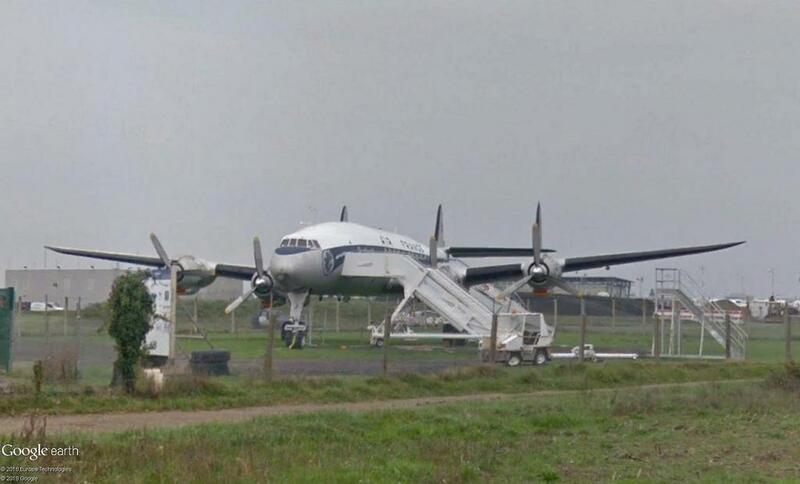 With her long legs and her shapely curves, Connie (the Lockheed Constellation) is one of the most beautiful and one of the most recognisable airliners ever built. The “long legs” were metaphorical as well as literal – she was the first Transatlantic airliner to be able to fly non-stop from New York to London. She was the first airliner to have a pressurised cabin and cruise at 250 knots, and she changed the face of commercial aviation forever. There were 856 Connies built. Queen of the Skies and hard-working skivvy, Amazon Warrior and mercenaries' moll, she undertook all sorts of roles – from Presidential Flyer to crop-duster; from Airborne Early Warning to gun-running. This thread is a tribute to Connie. If you come across her in your travels, drop me a placemark, either in this thread or as a standalone. I’ll do the research and find the images, you get the credit. Just click on the GE placemark to find the story. I am indebted to Mr Ralph M Pettersen, owner and compiler of the excellent Constellation website Constellation Survivors for his kind permission to quote his text and display images from his website. 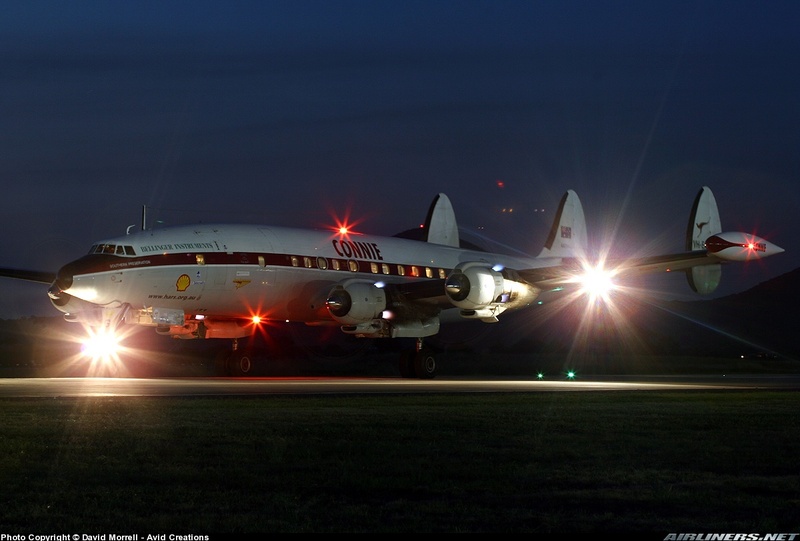 I am equally indebted to Mr David Morrell of Avid Creations for his generous permission to use the above image of the Historical Aircraft Restoration Society's Connie taxying at night, perhaps the most beautiful image of the most beautiful airliner in the world. As it's a new start on a new board, I thought I would just post my entire Connie collection and let you pick through it at your leisure. It has 48 place marks. A handful of those are for aircraft hidden in museums, but all the rest are for complete or partial aircraft. It's been a few months since I checked all of them, but hopefully they are up to date and have accurate type and registration information. I had a fair few in the old collection, but haven't had time to bring them forward yet. Busy, busy! I don't think I had as many as you, however! Found another one that I had been hunting for a while. Always knew there was one in Santo Domingo, but kept looking at San Isidro AB, not the De Las Americas International Airport 15 miles East of the city. Engines are missing and the lack of weight has caused her to sit down on her tail, but she's in better shape than some others. Nice to see in SV the Connie F-BGNJ in Nantes (F). 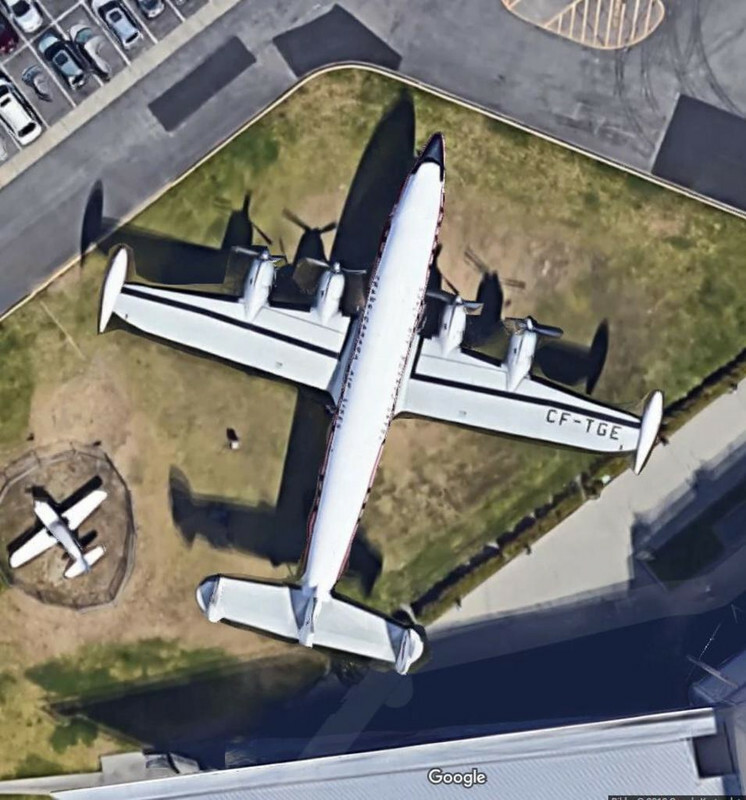 GE-Placemark in Lockheed_Constellations_07Apr2015.kmz contained. Thanks dug this up willi1! The CF-TGE at her new place in Tukwila. Now also in SV. 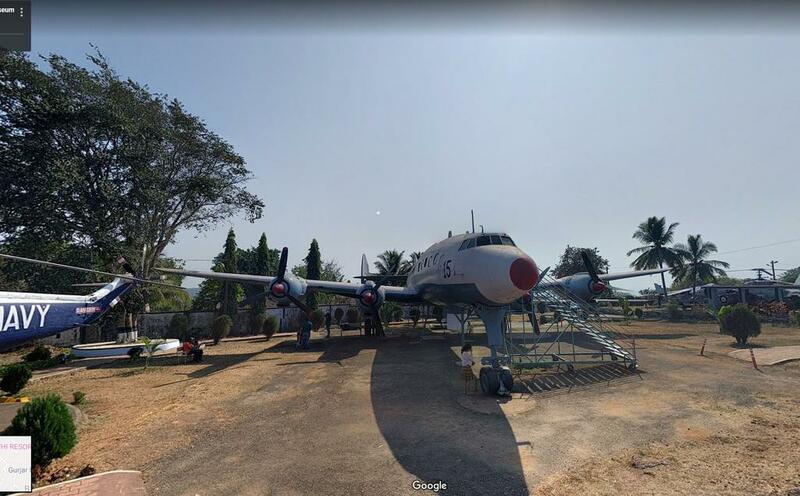 The Connie at the Indian Naval Aviation Museum (AP Vasco da Gama Mormugao). The placemark are in the collection.